Managed to get into town yesterday and spent a pleasant couple of hours standing in the cold chatting with Richard Smith who I bumped into at Bretonside Coach Station, which is not an area I tend to go to these days as there isn't much going on usually. Having spent some time discussing what was out and about and generally catching up with the local news we were both caught by surprise when First Dennis Trident 32817 pulled out from its parking bay and we realised it had been very freshly repainted into the new livery. We had been stood right next to it for almost an hour without realising it was a new repaint. we then had a bit of a scramble to get a few pics before it left! Note that it still does not have any local fleet names. Certainly looking a lot smarter now. Back in August last year when it was back in Plymouth after a spell in Cornwall and still carrying First Kernow names. 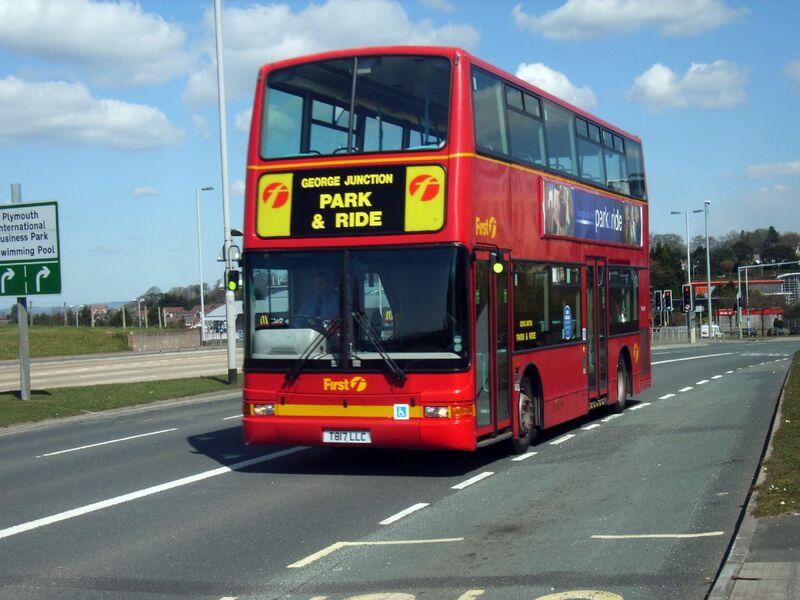 And finally, way back in June 2006 on the newly launched Park & Ride service still in full London red livery. Looking good, lets hope they roll the new livery out to the rest of the fleet. Just goes to prove that an older bus doesn't have to look like a bag of nails. Nice paint job, where's it going too?! With no "plymouth/torpoint/devon" on the side, looks like it won't be around much longer! 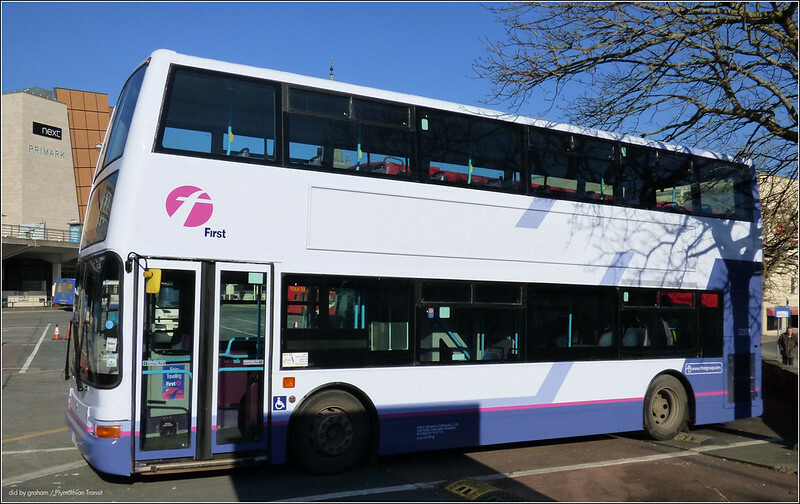 Some interesting news to go against First 76, Plymouth Citybus 576. 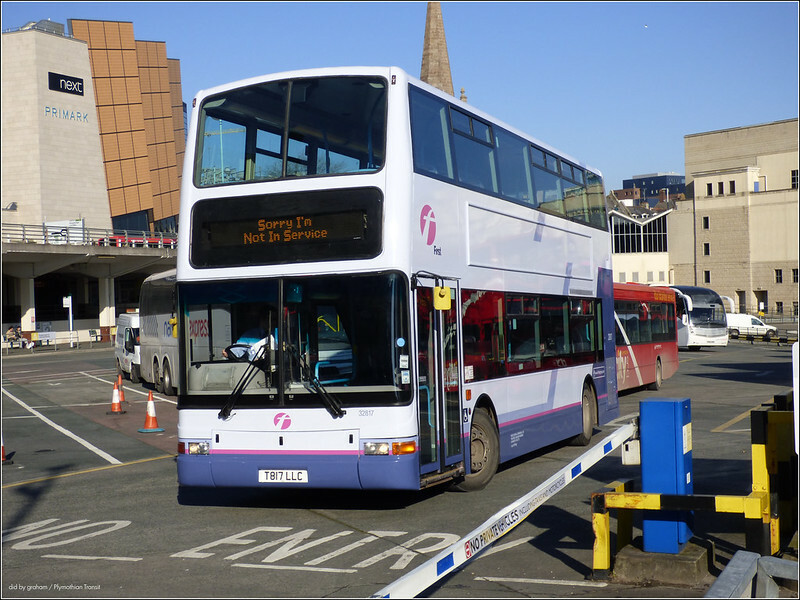 Stagecoach South West is taking over the X10 from Western Greyhound(formerly 510) They are renumbering it 6/6a the route will operate as follows: Exeter - Okehampton - Launceston(6a) or Holsworthy(6) and Bude(6/6a) So the Launceston to Bude corridor will have 3 bus companies battling it out! There is no competition here. First 76 never runs north of Launceston. The Stagecoach 6A is only positioning journeys from the Bude outstation. From Bude at 06:00 returning north from Launceston at 18:25 and 19:33. (There is an extra 6 to balance) These times compliment the 576 before and after the existing service. They do not connect very well, but that is not intended. The 6A also has a single round trip to Exeter on Sunday routed via Holsworthy, when the 576 doesn't run. 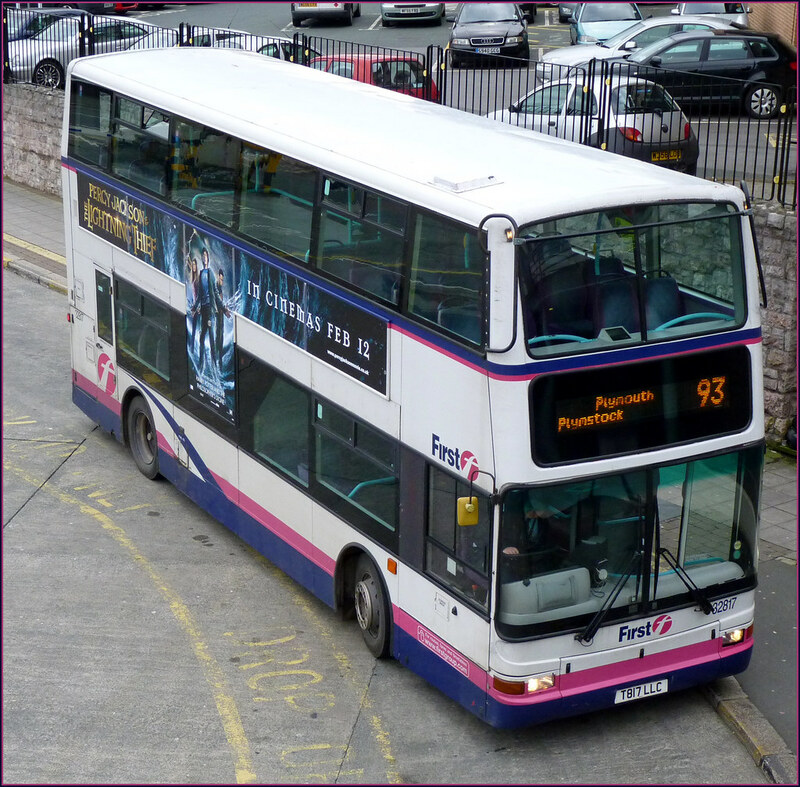 First 76 terminates at Launceston, so is not involved in the battle between Launceston and Bude. It's not being taken over, Western Greyhound deregistered the 510 and Stagecoach simply registered a replacement service. 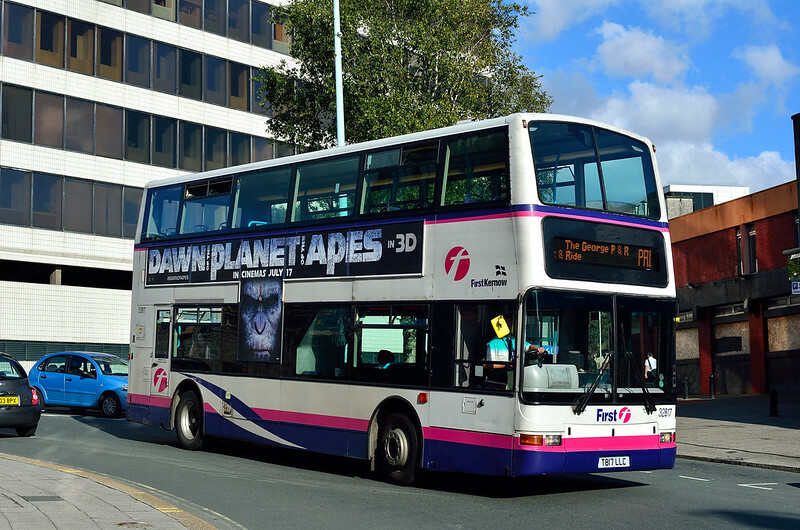 They are also running a FREE duplicate journey from Okehampton in the mornings to Exeter, at request of Devon County Council because Western Greyhound continue are not operating journeys on the 510. "because Western Greyhound continue are not operating journeys on the 510"
Do you mean that WG have not been running registered journeys over and above those listed on the website a couple of months back? Western Greyhound Leaving, Stagecoach Begin services is that not the same as taking over? As if Stagecoach ran services before WG left then it would just be a continuity from Stagecoach. I do stand corrected about the 76, as it only runs to Launceston.